This holiday season, dig out your ugliest Christmas sweater and come find us under the mistletoe... we'll have a glass of mezcal waiting for you! 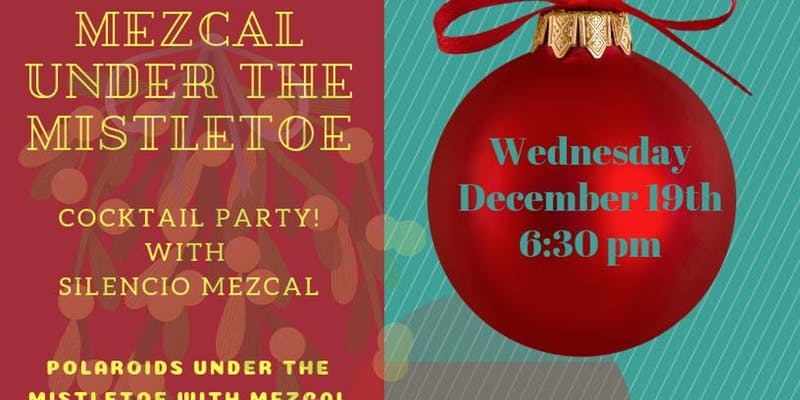 Join The Royal on Wednesday, December 19 for "Mezcal Under the Mistletoe" -- a special holiday cocktail and ugly sweater party! They're teaming up with El Silencio Mezcal for a festive evening of creative mezcal cocktails from Bar Manager Jake Kenny, seasonal holiday eats from Chef Cable Smith, sensory mezcal tastings, an epic Ugly Sweater Contest with exciting boozy prizes, live Polaroid photo ops, holiday gift bags, games, holiday movies and more! Doors open at 6:30pm, when guests will be welcomed with a warming coconut + mezcal-spiked Toddy and bite of pork belly "pastrami" and the opportunity to be led through an educational, sensory El Silencio Mezcal tasting. Tickets are just $60 (all-in, including tax and gratuity) which includes 3 courses, 3 cocktails, plus a welcome amuse bouche and cocktail pairing, a mezcal + coffee toast, holiday gift bags, a sensory Silencio mezcal tasting station, Polaroid photo ops, fun games (i.e. Rabbit “hunting” - spot a Silencio rabbit in the bar and turn in for a prize!) and holiday movies on the projector.